A knight is someone who does not what he wants to do, but what he should do. 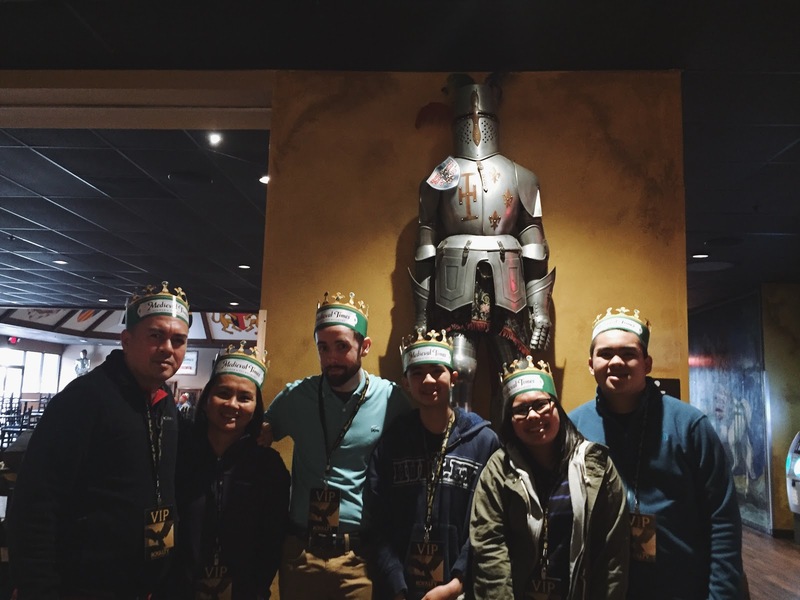 This past Christmas, I decided to buy my family and my boyfriend tickets to see Medieval Times Dinner & Tournament. 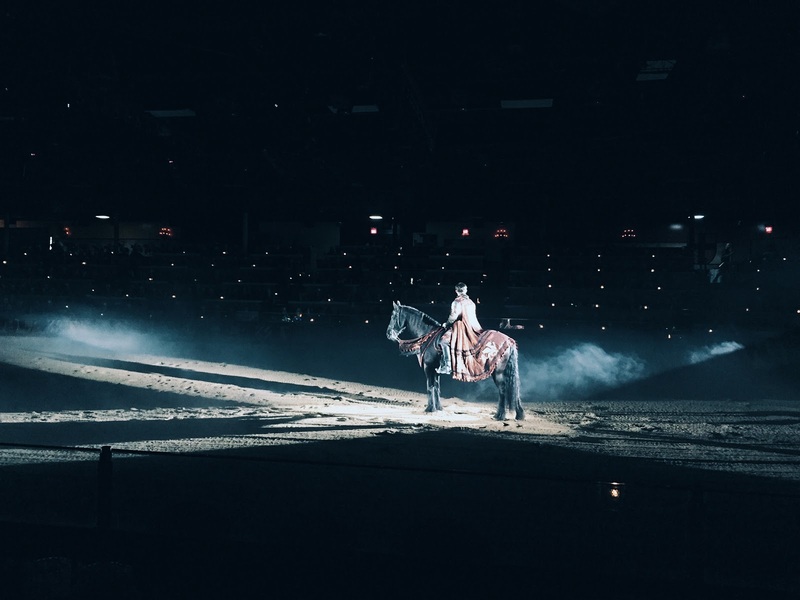 This dinner and tournament features staged-medieval games, sword-fighting, jousting, and horse dancing. We arrived an hour before showtime, as instructed by the company. 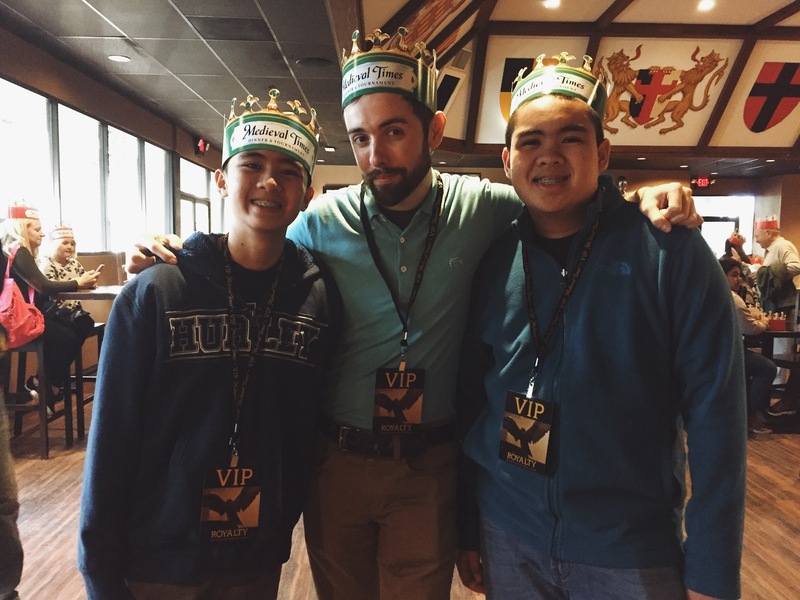 I purchased VIP Royalty tickets so our check-in process went fairly quickly and smoothly. 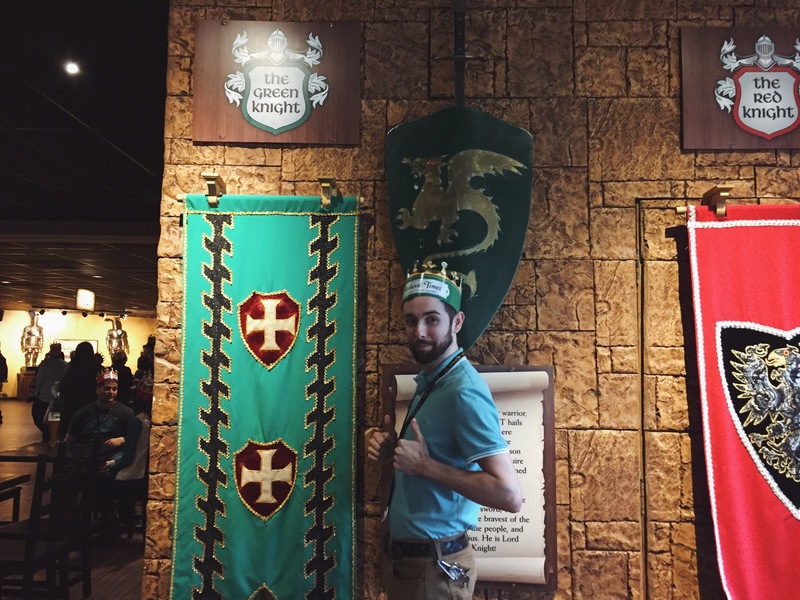 Upon entering the king’s castle, we were given tickets to root for the green knight. There were a total of six knights in all, each representing a different city ruled by the king. 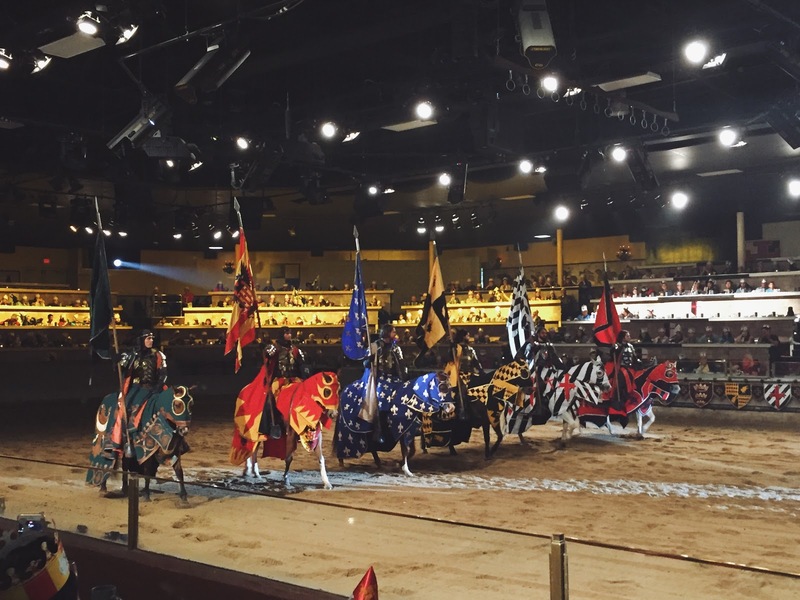 Before the jousting, the King’s guards performed choreographed maneuvers while dinner was being served. The “feast” included tomato bisque, garlic bread, chicken, corn on the cob, potato and the pastry of the castle for the day. Following medieval traditions, there were no utensils in the castle. Prior to buying the tickets, I read several Yelp reviews saying that the dinner was “bland”; however, the chicken was cooked really well and had a good taste to it when we were there! The corn was exceptional as well – they glazed with a really appetizing sauce. The knights did some staged-medieval games and gave away roses. Unfortunately, no one in my group got a rose nor did anyone of us get picked to be his handmaiden. I told Chris he should just buy me a rose so I can say I got one, ha! I highly recommend this dinner and tournament for anyone who enjoys this time period or simply, anyone who wants to do something new and fun over the weekend! 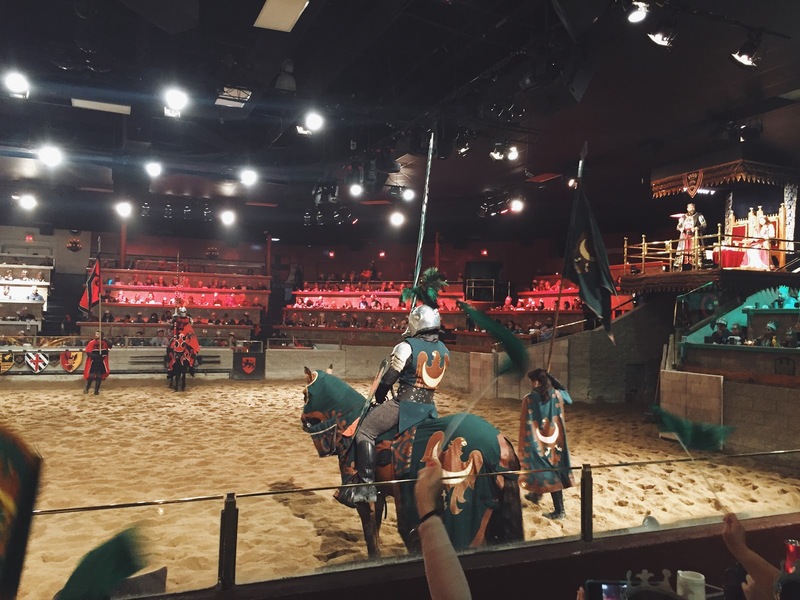 The tournament/show came with a dinner, and you get to cheer on your knight and maybe even get a rose in the process. I’m already looking forward to my next trip where I actually root for a knight who wins! 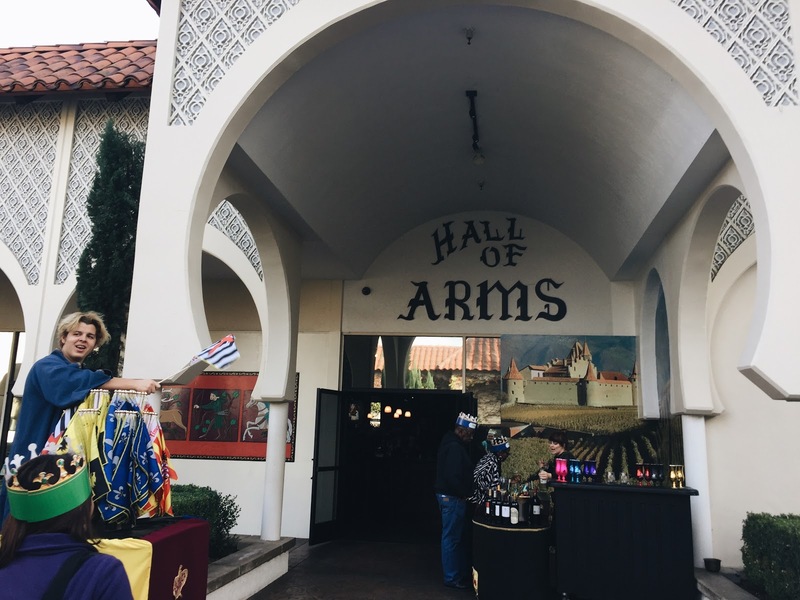 There are a few dinner and shows here in California – they're actually quite fun! YOOO take us here???? 😊 Next time we visit? Glad you guys all had fun this looks so cool!! I've never heard of anything like this before! Sounds like a fun night. DUDE YAAASSS. Come visit now. I've heard of a few people going to one of these things and it sounds like everyone has a good time. I've never been to a "dinner and a show" type thing but I would definitely be into it, how could I turn anything down if it involves a meal? !